I was 19 and imbedded deep in the Angolan bush as part of an ideological war we did not understand. What we did know was that we were ragtag soldiers, paratroopers deployed in counter-insurgency, but dressed in a mixture of South African, Cuban and Angolan uniforms, unshaved and unwashed for weeks, carrying a plethora of weapons, living more off the land than off our rations; a few had been sent home for injuries or for smoking pot. A few weeks ago we had lost Simon and Anton when they stepped on a vehicle mine. We wrote the odd letter home and I had informed my parents that I would not be home until somewhere in January. And then we were suddenly flown out from the north Namibian bush back to our base in Bloemfontein, a 1000 miles away, for a wash, a shave and change of gear. We handed in equipment and were given a five day pass, released onto the streets outside Tempe on the afternoon of 23 December. My parents were at their seaside holiday 600 miles away, I did not know the phone number and had little money. So I decided to ride with my thumb, although hitching was not allowed in uniform; you had to stand quietly on the roadside and hoped someone safe stopped to give you a lift. So, as I stood outside the gate in my step-outs, red beret on and Brassoed wings on my chest, another soldier stopped. He was going to Despatch near Port Elizabeth, to see his fiancée and their son, and I was going in the same general direction. So I got a lift in his Datsun 1200, through the southern Free State and Colesberg down to Middelburg in the Karoo, and he dropped me off at a junction just outside town that felt like the middle of nowhere. Even in midsummer the Karoo night air was getting cool by 9. The first car came past after 30 minutes of waiting; it was a big old Ford pick-up truck holding a farmer, his wife and three kids and he immediately stopped; I was thankful to be bundled in the back with bicycles and sacks, and got dropped off in Cradock, with streets that were totally deserted by 11 pm, two nights before Christmas. I had made up my mind to walk to the Police station and ask if there was space in the holding cells for a place to sleep when another car stopped and the driver asked where I was going. He, his wife and daughter were returning home to their farm near Bedford after an early Christmas dinner with friends, 100 km from home. When I replied that I wanted to get to Grahamstown they told me to get in; I was grateful. Their car was an old Opel Rekord, and they took me down to Cookhouse, well beyond the Bedford turn-off, where they dropped me off on the main road south, before making a 180 degree turn and completing their 80km detour, all to help a lonely soldier trying to make it home for Christmas. By now it was 1.30 am, Cookhouse was completely dark except for a few streetlights, but I noticed there was a train station. I walked the km or so into town and went to wait on the platform, hoping to find a railway bench that would be more comfortable to sleep on than the ground. And then a slow train came past, I explained my predicament to the conductor and he told me to hop on. I got to lie down in an empty compartment and paid nothing. At Alicedale the conductor woke me up and told me to change trains to get to Grahamstown. Again I flopped down in a compartment at no charge and can still remember how cold it became with no blanket and air leaking in somewhere. We arrived in Grahamstown at daybreak and I walked south to the road to Port Alfred. It was another hour away by car. Just before 7 a vegetable lorry stopped and the driver shouted “get in junior”; he had been in the para’s a few years earlier. Senior dropped me off at 8 am on Wednesday 24 December in front of my parents’ beach house. Mum was alone in the kitchen, saw my face through the lorry window and started shouting “Fanus is here”. Poor Dad thought she had lost it, with me being away in the bush war, and came running out to help her, but found me standing at the door. Then everyone appeared, brothers, friends, neighbours, the children in swimming costumes and the old people in pyjamas, with me sticking out like a sore thumb, still with the red beret on my head. The vegetable lorry driver sat there watching the reunion, then gave me a crisp salute and drove off. I had no gifts, no other possessions, but it was probably our best family Christmas ever. Three days later I flew back to Bloemfontein, with the prospect of a traumatic week to secure my release from the army to get to university, and scars to carry forever. Fanus Dreyer is a Consultant Surgeon at NHS Dumfries & Galloway. Sing this to the tune of ‘The 12 Days of Christmas’. Go on you know you want to!! On the 1st day of Christmas the safety team said to me A pledge to be harm free. We are all working towards achieving the aims of the Scottish Patient Safety Programme and you can help us achieve this. On the 2nd day of Christmas the safety team said to me 2 improvement advisors, 2 improvement trainees and a couple of Project Officers to support and guide you to make patient care even safer. For more information on Patient Safety and Improvement team contact us on ext 34138/34154. On the 3rd day of Christmas the safety team said to me 3 leaders on a walk round. 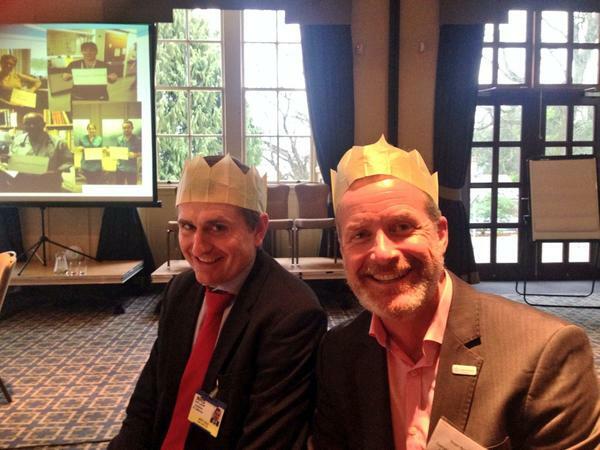 There have been 37 leadership walk rounds this year across NHS Dumfries and Galloway. These provide an opportunity for frontline staff to meet with the senior management team and have a structured conversation. This helps to keep leaders in touch with issues for frontline staff that help deliver safe, effective, person centred care and to promote and share areas of good practice. On the 4th day of Christmas the safety team said to me Get it Right For Every Child with: 4 Early Years work streams. 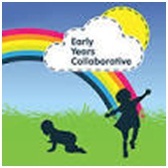 The early years collaborative aims to make Scotland the best place to grow up. It is the first collaborative of its kind in the world that incorporates health, education and social care. There is a huge amount of work going on across our region to improve the care given to babies, children and families. 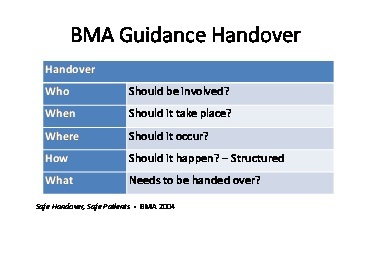 On the 5th day of Christmas the safety team said to me (lets improve handovers with…) 5 Handover questions. Ask yourself these 5 questions next time you pass over information and see if you can improve the quality of the handover …. On the 6th day of Christmas the safety team said to me sock it to sepsis! 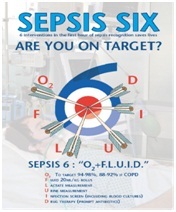 Sepsis 6 saves lives; so can you! The national sepsis awareness day was promoted in DGRI in September. Craig Stobo (from F.E.A.T) came to talk about his very personal account of sepsis. Both he and his pregnant wife contracted Sepsis, Craig survived but very sadly his wife and child did not. Craig also ‘stole shamelessly’ from NHS D and G the idea of the farthest travelled ‘sock it to sepsis’ socks. Here are some of ours. Any guesses as to where we travelled? A real conversation starter as you can imagine! 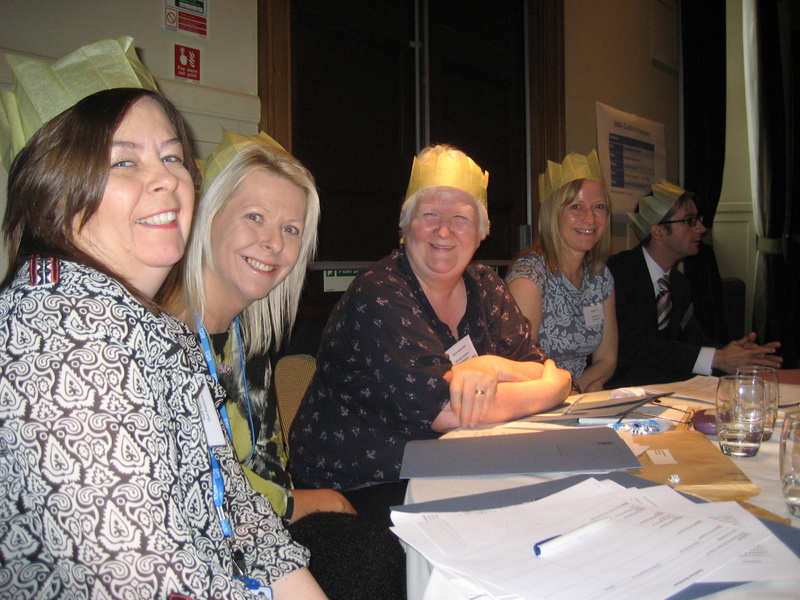 On the 7th day of Christmas the safety team said to me 7 improvement programmes. Provide reports for various management boards. PHEW! Most importantly we want to remain visible to those providing the care and those working on improvements. On the 8th day of Christmas the safety team said to me 8 (hundred) ICU days between. Well we thought we were onto a winner here with ICU having 888 days between a central line blood stream infection. However they are actually even better with 994 days today! Almost at 1000 days!!!! What a fantastic achievement. Well done to all involved!!!! On the 9th day of Christmas the safety team said to me 9 point of care priorities (plus one). Improvement teams have been set up to drive improvement in these areas. If you are interested in any of the above or have some great ideas please contact us and we will put you in contact with the clinical lead. On the 10th day of Christmas the safety team said to me 10 safety essentials in routine practice. These are the areas of work that have been the focus since the start of the Scottish Patient Safety Programme in 2008. The trainee improvement advisors have been visiting all areas in DGRI to validate the data around these essentials and have been supporting teams to plan for the future. 11th day of Christmas the safety team said to me 11 local learning events. In 2014 we provided 11 local learning events …WOW!!!!!! Our team works extremely hard to ensure we inspire, motivate and provide you with the tools to enable you to make improvements for the people you care for. Feedback has included ‘fantastic event, very well organised’, ‘great to have time out of the ward to focus on improvements’, ‘great day, everyone went away with a game plan and the tools to implement it’. On the 12th day of Christmas the safety team said to me 12 months of data. Measuring helps us to understand whether our changes impact on the goal we have set. As an improvement team our goal was to reduce the number of areas in DGRI not reporting data. The results are shown in the run chart below. We have demonstrated that by increasing the visibility and accessibility of the team we were able to significantly improve. Well done to all areas. We would like to take this opportunity to thank everyone for your hard work and continued support. From everyone in the Patient Safety and Improvement Team. The group ran a safer handover week, aiming to raise awareness in all staff of the importance of handover, but also of the strategies which may be employed to ensure effective handover. What did we learn? Passing appropriate information at shift changes and transitions of care is a personal responsibility for everyone. SBAR-R is a good tool only if used well! A formal structure (WHO,WHAT, WHEN, WHERE, HOW), advance planning and good quality leadership of handover meetings result in staff having clear prioritised goals for their work, a greater shared understanding of information, AND time savings at handover. We heard about some early work on handover problems, and enjoyed spending time considering how we want our handovers to look before addressing barriers. The “yellow hat thinking” got teams off to a good start by dedicating time to planning for the ideal world. There was a real buzz in the room, with teams from a variety of departments working together, and talking to other groups to resolve barriers. It was a fantastic to see primary care teams helping secondary care, theatre teams helping psychiatry, and many others. We have a great sense that we are at the beginning of a journey to improving handovers. We know that there will be challenges. Yet, across the board there is a willingness to engage in this work and an enthusiasm for making a difference. The commitment of our executive team was clear from the time they spent supporting the events of the week. Many staff from the shop floor voiced belief that they will be listened to and supported to make changes when they come up with ideas that make care safer at transitions. The handover group are keen to provide support to groups who want to start implementing changes. We would love to hear about the steps you are making to improve your handovers, so contact us to let us know what you are doing! I am probably not alone in my ‘dghealth blog thing’ reading habits. I usually take a very quick look at the blog on my phone while walking down the corridor and sometimes I can read a bit more in a gap in a clinic. Occasionally a multi-disciplinary clinic has finished ahead of time, the sessions have gone well, all my admin is up- to-date, and I get to read the full blog at a leisurely pace and discuss some of the issues raised with colleagues over a cup of coffee. That last one has never actually happened, but I live in hope. 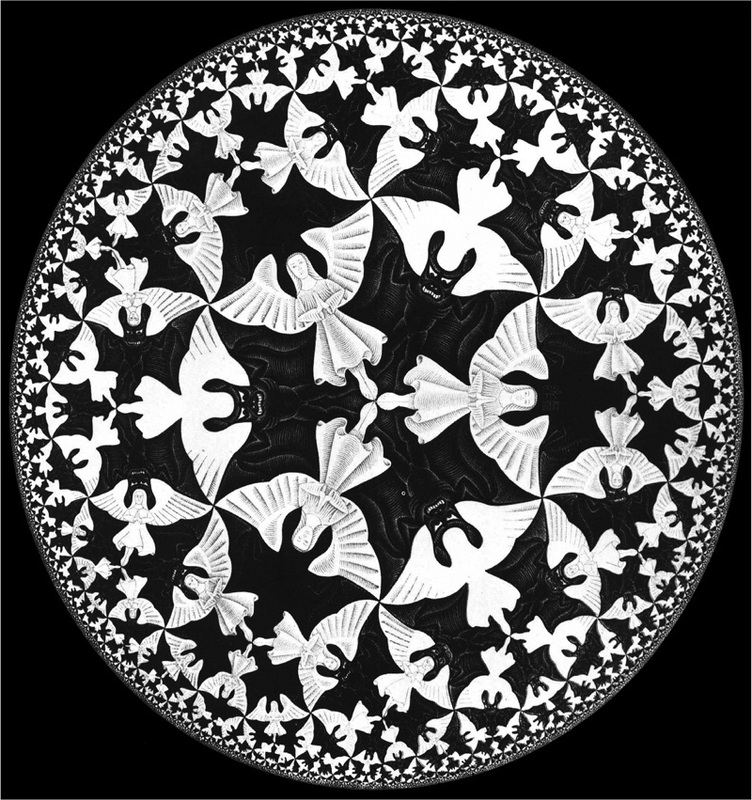 To accommodate varying time constraints, this blog is available in four sizes; one sentence, short (basic facts), medium (takes a bit longer to read, but puts it into more of a context), and big. 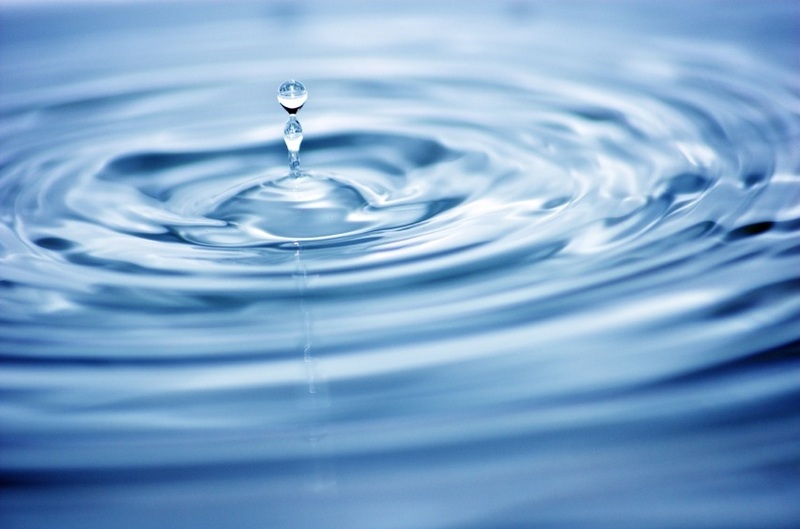 Perhaps think of it like the ripples moving outward from where a stone hits the water. Feel free to read some or all of it. Listen to your Values and Do what matters. NHS D&G have developed a list of shared values. That is, principles we agree are a central part of our organisation and should guide our behaviour. They are both ‘core’, as in essential, and ‘CORE’ as an acronym. These were developed during 2013 through a partnership process and agreed and adopted by the Board in May 2014. So what would these values look like in the real world? The good news is that there are already lots of examples of ongoing work which is consistent with CORE values (What Matters to Me? ; VOICES; Values Based Reflective Practice; Emotional touch Points, Appreciative Enquiry etc to name but a few). Several of these have featured in previous blogs. At a recent meeting we started to chart what was already being done and it became clear that there are many ways move towards these values. The next stage is about ‘spreading the word’, so that everyone is aware of the CORE values (if you are reading this, congratulations, you are aware!) and then trying to ensure that they become part of everyday practise. Discussions are ongoing as to how CORE can become part of our everyday work through various possible ways ranging from conversations, PDP’s, Staff Inductions to posters and letterheads. The thing is, knowing our CORE Values is one thing, acting on them is something very different indeed. You may be wondering why it is now felt necessary to state our ‘CORE Values’? Isn’t that what we already do? Is this just the latest ‘top-down’ noise/nonsense/way to keep people with not enough to do busy/busy people busier etc? 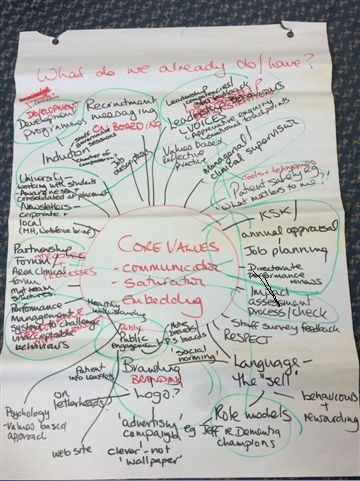 You may have noticed that NHS organisations across the UK over the past year are also busy promoting their own, strikingly similar, versions of the ‘CORE Values’. How comes? Does this stuff matter? Really? The Francis Enquiry (2013) took place into the causes of the failings of care which occurred within the Mid Staffordshire NHS Foundation Trust between 2005 and 2009. The report outlined ‘widespread unethical behaviour …. toxic work environments where bullying and intimidation are not uncommon’. In short, it warns that if we do not want repeated scandals due to poor, neglectful or abusive care, inadequate governance, interdisciplinary conflict and poor staff morale, then we need to do something different. This year, Robert Francis said: ‘A repeat of the Stafford Hospital scandal is still possible and it is “dangerous” for NHS staff to think otherwise’. As tempting as it is to think that a few ‘rotten apples’ are to blame, research from social psychology illustrates that the way we behave could best be understood as part of a much wider social framework, (for example, how and why ‘good’ people do ‘bad’ things and how some groups are devalued in societies). There is also the impact of ‘power-relations’ and authority. Some people in some situations are more powerful than others. So yes, it would appear that it does matter. Francis made 290 recommendations, including openness, transparency and candour throughout the healthcare system, together with calls for improved support for compassionate caring, committed caregiving and stronger leadership in healthcare. The key issues here are all interconnected – patient safety, leadership, governance and staff well-being. Diagnosis of a problem and prescription may sometimes be relatively easy, but delivering effective solutions in complex healthcare systems is very hard to achieve. ‘Our CORE Values’ is one way to try to find solutions to these issues. The words that make up CORE need to become consistent patterns of behaviour. We need to first understand what these words actually mean and then what they would like in practise. This is no small task. But if we really agree with CORE, then worth it. Oh yeah, the ‘big version’ of this blog? My hope is that ‘the big version’ will be the conversations about Our CORE Values and whether we are acting on them.